We’re wishing you a colourful and creative Christmas from the angels here at Penhouse! Download our origami angel template here, follow the simple instructions and make us up to sit in your tree, on your desk, or table centrepiece! 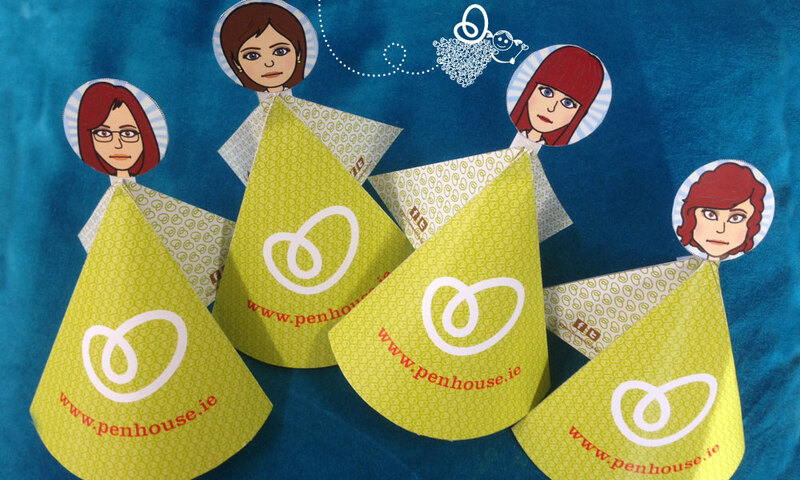 Get into our Penhouse head space and stick your very own photo on top of our angel bodies for a personalised option! Send us pics of your angels too by email or Facebook – we’d love to see how you look in our costumes! We’d like to say a huge thank you to all our friends and clients this year who have helped us create some great projects, from new business branding and packaging, to revamped websites, publications and new campaigns. We look forward to continuing our journey with you in 2014.